Our communities are what make Ohio such a great place to live, work, and raise a family. I am committed to providing Ohioans with economic strategies that sustain our working families and vibrant communities. With investments in infrastructure and clean energy, Central Ohio has the potential to become a model of growth and sustained prosperity. Central Ohio is on track to add one million new people in the next 40 years. Addressing increasing infrastructure demands, especially to roads, energy grids, and cyberinfrastructure, will be critical to growing jobs and moving goods and services. I will advance recession-proof infrastructure investments and the restoration of local government funds so that towns and communities can respond to these growth demands and not run the risk of watching the world pass us by. I will also work to expand Ohio’s renewable energy portfolio standards to put our state back on the map for cultivating clean-energy jobs and attracting companies who want to power their businesses with renewable and reliable energy. We can strengthen the middle class by creating and keeping good-paying jobs right here in Central Ohio. Companies in our fastest-growing industries – health care, education, construction, advanced manufacturing, and computer systems – will locate and grow only where they are confident they can hire a ready workforce. Ohio’s workers need the right skills to get and keep good-paying jobs that can secure a foothold in the middle class. I will put workers first and make it a priority to fill this skills gap with strong workforce development, streamlined jobs training resources, and better community partnerships. I will support state initiatives that cultivate new business leaders and entrepreneurs. Our local and small businesses are vital to the long-term vibrancy of our communities, and they employ nearly half of our private-sector workforce. Local prosperity ensures that future generations will continue to work and raise their families right here in Ohio. We must create the conditions that nurture small businesses and allow entrepreneurs to venture out and start their own business, including expanded financing resources, an affordable healthcare market, reduced student loan debt, and anti-discrimination protections. Ohio needs leaders in Columbus who will support equal pay and paid family leave to sustain 21st century working families. As a working mom, I know women work just as hard as men, and I believe we should be paid equally. Women are the primary breadwinners for many Ohio families, and existing gender pay gaps simply take money from household budgets and make it harder for families to thrive. Working women and men also need the opportunity to care for their children or aging parents without being penalized in the workplace. 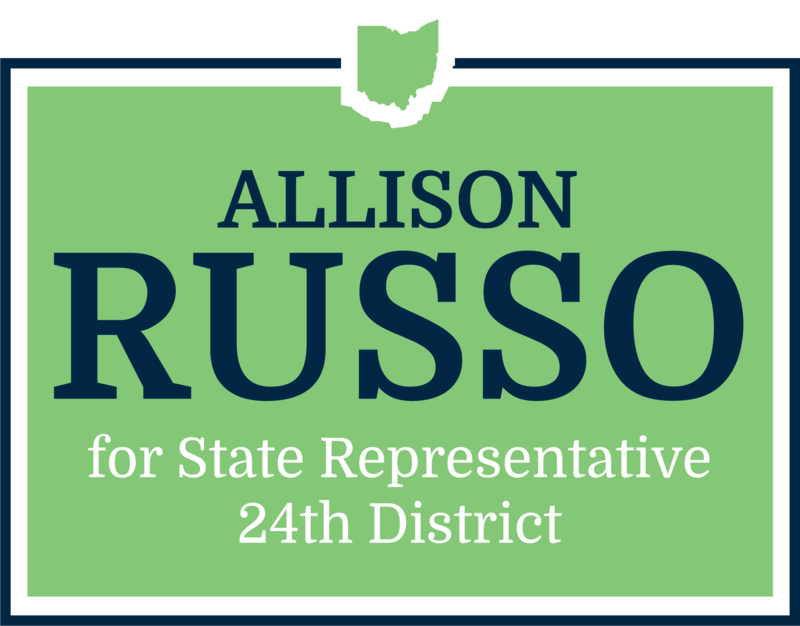 I will support policies that ensure equal pay and better protect women from discriminatory practices, as well as new approaches to extend paid family medical leave to all Ohio workers.